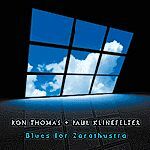 With Blues For Zarathustra, pianist Ron Thomas returns to an area of interest that has always been a part of his musical life, but which has not be emphasized or recorded recently. What he presents, with his long time playing partner, bassist Paul Klinefelter, is a straight-ahead set where simplicity, delicate intensity, constant interplay and a fertile imagination rule. 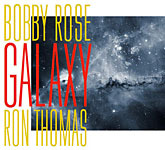 Those who have followed Thomas' output, including his solo works, 17 Solo Improvisation (Vectordisc, 2006) and Wings of the Morning (Vectordisc, 2007), and trios Doloroso (Art of Life, 2006) and Music in Three Parts (Art of Life, 2006), will recognize Thomas' touch and use of pedal. However, while his intellectual side, which informed the music on the other recordings, has been submerged, his love of melody and harmony as used in the more standard manner now comes to the fore. Of course, Thomas' music has always represented his eclectic tastes and Zarathustra, while easily wearing the straight-ahead label, is hardly a normal session. The tunes chosen, besides the original title tune, are not commonplace standards and their treatment is far from the typical "playing variations on the changes." Thomas and Klinefelter make an extremely tight duo, knowing each other so well that their reactionsthe push and pull of the two independent voicessound completely natural. Closer listening will uncover the seamless changing of roles as Klinefelter, playing the natural supporting role, will, in the course of things, inject a phrase fragment that is instantly picked up by Thomas. Conversely, Klinefelter will just as quickly respond to something Thomas has played. Since the balance constantly shifts between the two players, the amount of melodic detail presented is enormous. When combined with the rhythmic subtleties that are continually mutating, the effect becomes one of being surrounded by the music as it flows. 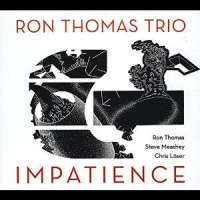 Knowing the tunes enhances the pleasure of this recording, since it's possible to observe how the distance between the core melody and the improvisation changes. 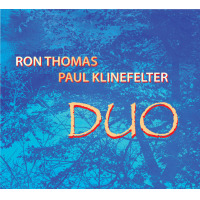 Thomas and Klinefelter communicate their deepest feelings, playing for and to each other. These are tunes they have played for many years, and have changed over time. Says Klinefelter, "Rather than getting bored with a composition, the more familiar with it we become the more we see the deeper possibilities within it." 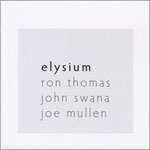 Thomas acknowledges the deep influence of Bill Evans in his musical thought and playing. The fact that the above description could be said of any number of Evans' trios is not coincidence, and is meant to be the highest tribute. While Blues for Zarathustra can be heard as homage to Evan's legacy, that does not diminish its achievement. The longest track, "I Thought About You," easily bears repeated listens, exposing new features each time. This is the magic of Klinefelter and Thomas. Track Listing: Gentle Rain; Time Remembered; Yardbird Suite; You Must Believe in Spring; Young and Foolish; I Thought About You; Blues for Zarathustra. 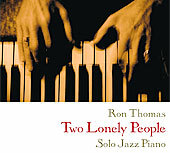 Personnel: Ron Thomas: piano; Paul Klinefelter: bass.